Come with us and experience how the "City of Lights" is also a city of death and decay. Ghosts and Vampires. Undead and always watching. In addition to Paris, we will take a side excursion to Belgium to visit the city of Bruges. - 4 nights' accommodations in the heart of Paris with easy access to major attractions and the Metro. -A proper French breakfast every morning. -Airfare from a major east coast airport. May 14 - Fly out of the US to Paris. Overnight flight. We will offer an evening pendulum class to prepare for tomorrow. This includes a pendulum of your choosing. Alcoholic beverages will be available during this meetup. 2 hour tour/exploration of the Paris Catacombs - During this special access tour, we will be treated as VIP and be able to skip the long lines and walk directly into the Catacombs. 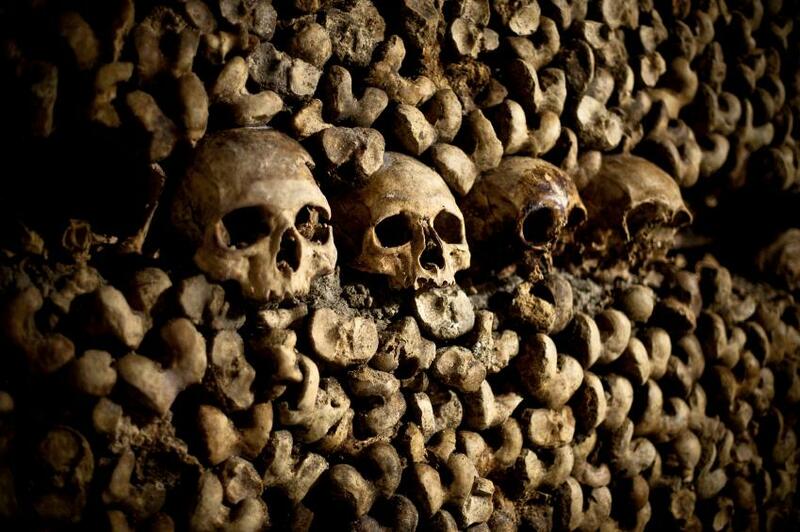 We will venture into the dark underworld of Paris with a local expert guide through the macabre tunnel system containing more than 6 million human remains. With the tour we have access to chapels and chambers that are closed to the general public. 2 hour guided tour of Pere Lachaise Graves - During the tour, we will leave the tourist path and explore a somewhat hidden gem of Paris. A local guide will lead us through a maze of haunting yet romantic headstones and tombs including Jim Morrison, Balzac, Oscar Wilde, Moliere, Chopin, Proust, Gertrude Stein, and many others that claimed Paris as their final resting place. Or are they resting? 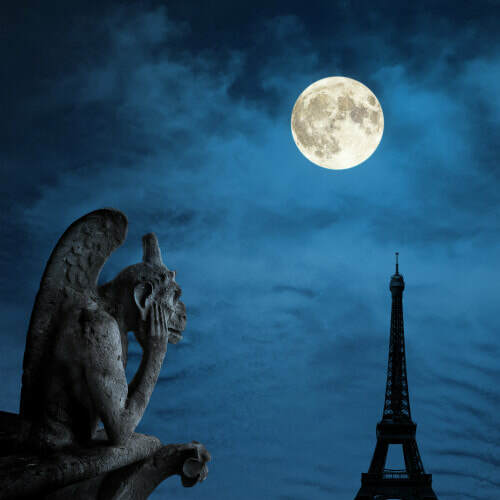 3 hour guided night walk of the most haunted Paris sites - Come with us and hear the chilling tales of the eerie side of Paris. Tales of murder, mayhem and mystery while strolling among the beautifully lit attractions. Our guide will share stories of assassinations, ghosts, lost treasure, and even the Holy Grail. May 17 - After breakfast, we will head out of the city and journey to nearby Bruges. 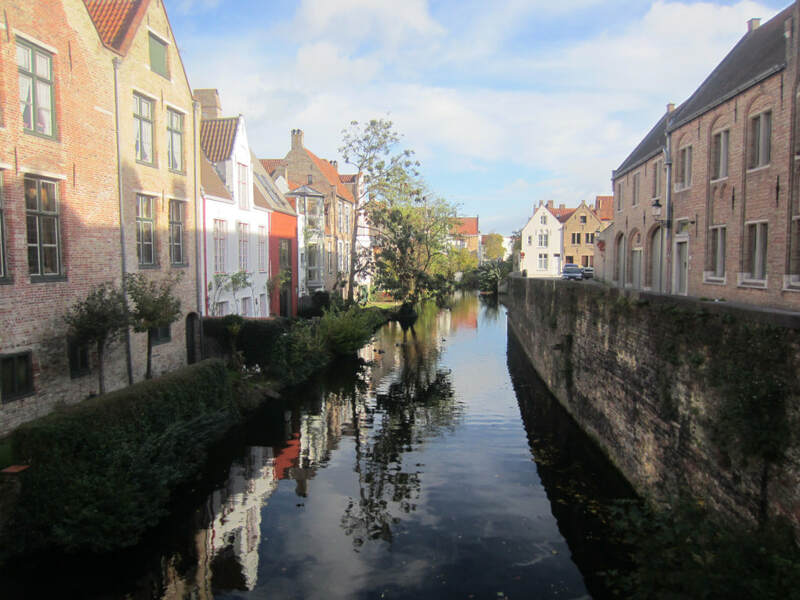 This medieval looking town was virtually untouched by the World Wars and features many street like canals, earning it the nickname "Little Venice". We will enjoy a city walking tour then have some time to explore the shops, Flemish art, Belgian chocolate and taverns. Watch the movie "In Bruges" to get a taste of what this unique town has to offer. This tour will also include a canal cruise. May 18 - This is a free day! Set out on your own to make discoveries and maybe get lost. Visit the iconic sites in more depth, go shopping, or just hang out at a street side cafe (like Bruce Wayne). Paris is YOURS! We will have a meet up near the hotel to share our adventures at the end of the day.